Abstracted by: Dale Gerke, PT, ScD, COMT, Mequon, Wisconsin — Fellowship Candidate, IAOM-US Fellowship Program & Jean-Michel Brismée, PT, ScD, Fellowship Director, IAOM-US Fellowship program. While the hip is generally considered a very stable joint because of the deep seated congruency of the acetabulum, there is growing evidence that hip microinstability does exist. The purpose of the article by the authors was to identify the prevalence of Ligamentum Teres (LT) injuries and identify clinical examination findings that fit the diagnosis. The research was a retrospective analysis of arthroscopic findings for patients with hip pain. The authors completed a prospective examination of the hip to establish a pre-operative diagnosis on patients over the age of 18. The examination was completed less than one month before the hip arthroscopy and included Passive Range of Motion (PROM), Apprehension Test (See Figure 1) Impingement Test, FABER, and Dial Tests for each patient. Radiographs of the hip were also analyzed and measured for each patient. The results of the arthroscopic findings were assessed retrospectively by one orthopedic surgeon. The LT was inspected arthroscopically and the findings were recorded. The arthroscopic evaluation allowed the surgeon to classify the LT as normal, partially torn, or completely torn. A total of 3,158 hip arthroscopies were performed by the Physician over the 10-year period. A total of 2,213 patients met the inclusion criteria for undergoing primary hip arthroscopies on skeletally mature adults being treated surgically for chondrolabral dysfunction associated with Femoroacetabular Impingement (FAI). The results demonstrated 88% of the patients had fraying or tearing of the LT and were classified as partially torn. Eleven percent of the subjects had a normal LT and 1.5% of the patients were identified as having a completely torn LT. Odds ratios were performed using SPSS. Gender, size, hip morphology, PROM and impingement tests were related to LT tears. Additional arthroscopic findings also demonstrated chondral tears and coxafemoral joint capsular laxity. The authors found women were more than 3x likely to experience a tear in the LT than men. Radiographic analysis demonstrated a center edge angle (CEA) less than 25 was also associated with LT injury. Previous authors have identified LT injuries during arthroscopy. However, this is the first study to quantify the severity of an LT injury. The authors should be applauded for their work in identifying the very elusive hip instability with clinical examination. The authors of the current study found the frequently used Dial Test was not as helpful to detect instability. (See Figure 2) This is understandable because the LT may not be fully elongated in this neutral hip position. Placing the hip in a flexion position brings the attachment of LT posterior to the axis of rotation adding length to the LT. The authors also noted that hip IR was greater in patients with partially torn or completely torn LT, but motion changes were considered controversial and not statistically significant in this article. Nonetheless, hip IR or ER with a soft end feel could increase clinical suspicion for instability. Moreover, a positive impingement test was frequently encountered with hip instability in this article. Several authors have suggested that a position of hip flexion, hip adduction and internal rotation can strain the LT, while others have advocated the hip flexion, adduction and external rotation elongate the LT. Therefore, identifying symptom location and carefully evaluating the end feel during the impingement test can be useful. Furthermore, patients experiencing laxity from a partially torn LT may have a softer end feel that could be limited by diffuse pain. Additionally, patients were recognized as having an isolated cam or pincer impingement more frequently when a partially torn or completely torn LT was identified. It is important to consider the morphology of the cam or pincer lesions because the bone lesions could have been present for many years. Traumatic hip instability certainly is a realistic concern, but many patients could be experiencing repetitive microtraumatic events leading to the subtle instability. The authors suggest that early symptom identification can be helpful for surgical considerations. This is understandable considering the morphological differences, labral tears, capsuloligamentous laxity and chondral defects identified via arthroscopy. A recent study by Devitt et al (2017) suggested that LT involvement was more common in individuals with arthroscopically evaluated capsular slimness.5 They also found that a Beighton Test Score (BTS) ≥ 4 was more predictive of a hypermobility and LT pathology. Devitt also found the average BTS for men and women was 1 and 4 respectively. Identifying more joint hypermobility and LT involvement in women was similar to the current research findings. Having a better understanding of clinical hip instability can be beneficial for the manual physical therapist. Early identification of hip instability can lead us to implement appropriate somatosensory motor control exercises that incorporate the deeper stabilizing muscles of the hip to prevent the premature microtraumatic tissue damage in the coxafemoral joint. Hodges et al (2014) identified the role of obturator Internus (OI), piriformis and Quadratus Femoris (QF) with early active hip External Rotation and Abduction.8 To encourage activation of the deep rotators, the load should be low and slow to prevent over activation of the gluteal musculature. The therapist can assist light eccentric activation of the deep external rotators in prone (See Figure 4) while palpating the gluteus maximus (GM) to ensure GM inactivation during the exercise. The clinician may progress to a sidelying position (See Figure 5) after appropriate motor control has been successful in the prone position. Distal motion deficits such as a lack of ankle dorsiflexion or knee flexion8,9 would also encourage hip adduction and internal rotation during functional activity. These hip positions create a position where the LT can be elongated with repetitive motions or one large traumatic event. Therefore, the clinician needs to look distal to the hip for secondary motion limitations and restore the motion when retraining functional movements such as squatting, jumping or landing. A lack of improvement despite conservative care may warrant surgical intervention. Surgery could involve the repair of the LT in combination with labral repairs, capsular plication or capsulorrhaphy. A limitation of the study was the authors failed to distinguish the difference between tears of traumatic and microtraumatic origin. While the authors acknowledged both trauma and microtrauma play a role in LT involvement, it is difficult to ascertain which is more common in this study. However, an individual will frequently remember a traumatic event in the history. Imaging results were also not reported by the authors. Previous investigators have suggested Magnetic Resonance (MR) Imaging to have poorer diagnostic utility (Sn: 41, Sp: 75, PPV: 32) while MR Arthrography would have greater diagnostic power (Sn: 83, Sp: 93, PPV: 76) if there is suspicion for partial LT pathology failing conservative management.4 There is no significant difference between MR Imaging and MR Arthrography when complete tears are identified. Byrd JW, Jones KS. Traumatic rupture of the ligamentum teres as a source ofhip pain. Arthroscopy; 2004;20:385–91. Cerezal L, Kassarjian A, Canga A, Dobado MC, Montero JA, Llopis E, Rolon A, Perez-Carro L. (2010) Anatomy, biomechanics and management of ligamentum teres injuries. Musculoskel Imaging; 30(6): 1638-1651. Cerezal L, Arnaiz J, Canga A, Piedra T, Altonaga JR, Munafo R, Perez-Carro L. (2012). 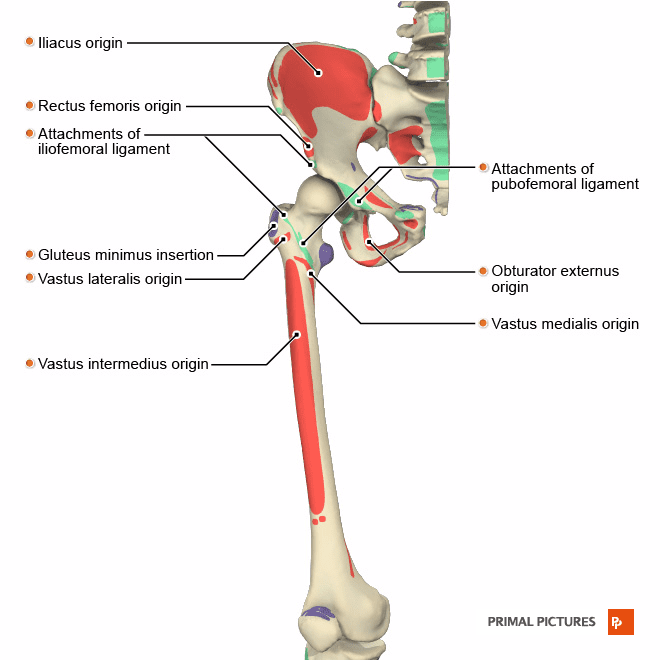 Emerging topics on the hip: ligamentum teres and hip microinstability. Eur J Radiolog; 81:3745-3754. Datir A, Xing M, Kang J, Harkey P, Kakarala A, Carpenter WA, Terk MR. (2014). Diagnostic utility of MRI and MR arthrography for detection of ligamentum teres tears: a retrospective analysis of 187 patients with hip pain. Am J Roentgenol; 203(2):418-423. Devitt BM, Smith BN, Stapf R, Tacey M, O’Donnell JM. (2017). Generalized joint hypermobility is predictive of hip capsular thickness. Orthop J Sports Med; 5(4):1-7. Hagins M., Pappas E., Kremenic I., Orishimo K. F., Rundle A. (2007). The effect of an inclined landing surface on biomechanical variables during a jumping task. Clin Biomech;22(9):1030–1036. Hodges PW, McLean L, Hodder J. (2014). Insight into the function of the obturator internus muscle in humans: observations with development and validation of an electromyography recording technique. J Electromyog Kinesiol; 24(4):489-496. O’Donnell J, Economopoulos K, Singh P, Bates D, Pritchard M. (2014). The ligamentum teres test: a novel and effective test in diagnosing tears of the ligamentum teres. Am J Sports Med; 42(1): 138-43. O’Donnell J, Pritchard M, Salas AP, Singh PJ. (2014). The ligamentum teres – its increasing importance. J Hip Preservation Surg; 1(1):3-11. Philippon MJ, Zehms CT, Briggs KK, Manchester DJ, Kuppersmith DA. Oper Tech Sports Med; 2007;15:189-94. Phillipon MC, Briggs KK, Goljian P, Peixoto LP. (2013). The hip dial test to diagnose symptomatic hip instability. Arthroscopy; 29(10):e123. Shu B & Safran M. Hip instability: anatomic and clinical considerations of traumatic and atraumatic instability. Clin Sports Med. 2011; 30: 349–67.